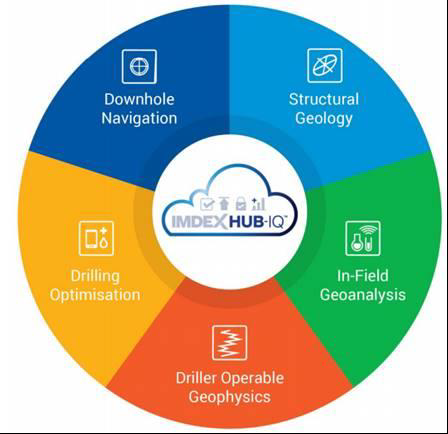 Imdex has the vision to become the leading provider of real-time subsurface intelligence solutions to the global minerals industry and has offices located around the world. Its technology can improve the process of identifying and extracting information from below the earth’s surface for drilling contractors and resource companies. This can help in critical decision making from exploration through to mining and can allow its customers to control costs and increase productivity. AMC business: IMD provide drilling fluids, equipment, technology and software solutions to maximise productivity with a strong presence within the horizontal directional drilling, waterwell and civil construction sectors. Reflex business: Provides real-time subsurface intelligence technologies for downhole instrumentation, data management, and analytical software for geological modelling. IMD has a very strong share registry with around 75% of its issued share capital owned by institutional investors. Imdex has seen that its REFLEX rental fleet has traditionally been a reliable indicator of market conditions within the resources industry, with the requirement for more instruments as more rigs return to work. IMD’s number of instruments on hire increased by 27% over the year to 30 September 2017 with the largest driver of rental activity seen in the gold and copper markets. The increased demand for instruments has been for traditional survey and core instrumentation along with its newer technologies. The newer technologies tend to yield higher rentals rates for IMD due to the greater value-add for their clients. Activity has been recovering globally with increased activity seen particularly in Canada, Western USA, Latin America, West Africa and Australia. Initially, the activity uplift was seen in 4Q16 due to the pickup in the gold price, but they have now seen a broad-based recovery with all sizes of mining companies well-funded and with increased budgets. The larger sized resource companies have been focussing on increasing efficiencies and reducing costs, which has seen newer technologies gaining momentum in an effort to lift productivity. Junior companies have been able to raise cash via equity markets and are now actively exploring. Both larger and smaller sized companies are on a mission to replace diminishing reserves and resources. IMD sees that the robust activity within the major mining areas shows signs that we are currently in the early stages of a cyclical upswing, with the broader-based recovery likely to be steady and sustainable. In accordance with Section 949A of the Corporations Act 2001 DJ Carmichael Pty Limited advises this document contains general financial advice only. In preparing this document DJ Carmichael Pty Limited did not take into account the investment objectives, financial situation and particular needs (‘financial circumstances’) of any particular person. Accordingly, before acting on any advice contained in this document, you should assess whether the advice is appropriate in light of your own financial circumstances or contact your DJ Carmichael Pty Limited adviser. DJ Carmichael Pty Limited, its Directors employees and advisers may earn brokerage or commission from any transactions undertaken on your behalf as a result of acting upon this information. DJ Carmichael Pty Limited, its directors and employees advise that they may hold securities, may have an interest in and/or earn brokerage and other benefits or advantages, either directly or indirectly, from client transactions. DJ Carmichael Pty Limited believe that the advice herein is accurate however no warranty of accuracy or reliability is given in relation to any advice or information contained in this publication and no responsibility for any loss or damage whatsoever arising in any way for any representation, act or omission, whether express or implied (including responsibility to any persons by reason of negligence), is accepted by DJ Carmichael Pty Limited or any officer, agent or employee of DJ Carmichael Pty Limited. This message is intended only for the use of the individual or entity to which it is addressed and may contain information that is privileged, confidential and exempt from disclosure under applicable law. If you are not the intended recipient or employee or agent responsible for delivering the message to the intended recipient, you are hereby notified that any dissemination, distribution or copying of this communication and its attachments is strictly prohibited.